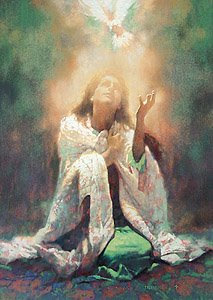 35 The angel answered, "The Holy Spirit will come upon you, and the power of the Most High will overshadow you. So the holy one to be born will be called the Son of God. 36 Even Elizabeth your relative is going to have a child in her old age, and she who was said to be barren is in her sixth month . 37 For nothing is impossible with God." 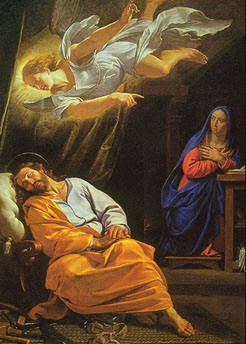 20 But after he had considered this, an angel of the Lord appeared to him in a dream and said, "Joseph son of David, do not be afraid to take Mary home as your wife, because what is conceived in her is from the Holy Spirit. 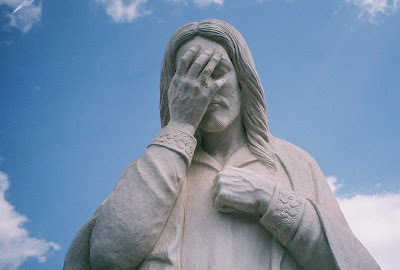 21 She will give birth to a son, and you are to give him the name Jesus, [Jesus is the Greek form of Joshua, which means the LORD saves] because he will save his people from their sins." 22 When the time of their purification according to the Law of Moses had been completed, Joseph and Mary took him to Jerusalem to present him to the Lord 23 (as it is written in the Law of the Lord, "Every firstborn male is to be consecrated to the Lord"), 24 and to offer a sacrifice in keeping with what is said in the Law of the Lord: "a pair of doves or two young pigeons." 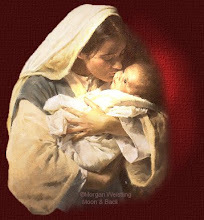 28 Simeon took him in his arms and praised God, saying: 29 "Sovereign Lord, as you have promised, you now dismiss your servant in peace. 30 For my eyes have seen your salvation, 31 which you have prepared in the sight of all people, 32 a light for revelation to the Gentiles and for glory to your people Israel." 33 The child's father and mother marveled at what was said about him. 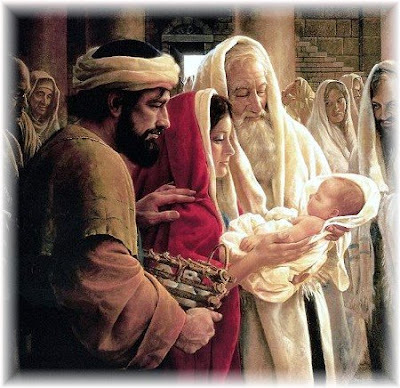 34 Then Simeon blessed them and said to Mary, his mother: "This child is destined to cause the falling and rising of many in Israel, and to be a sign that will be spoken against, 35 so that the thoughts of many hearts will be revealed. And a sword will pierce your own soul too." 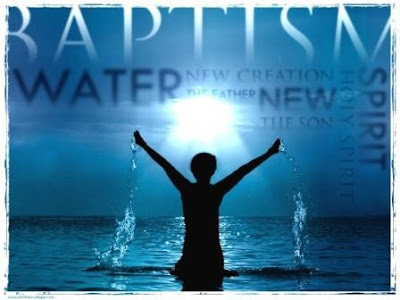 "I [John the Baptist] baptize you with water for repentance. 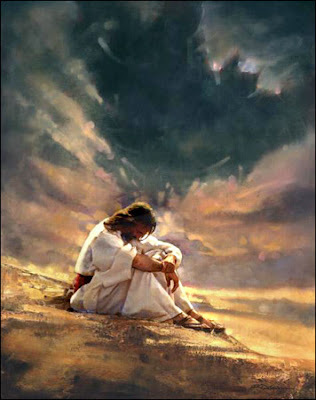 But after me will come one [Jesus] who is more powerful than I, whose sandals I am not fit to carry. 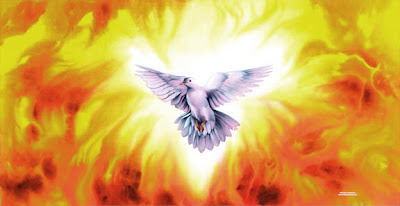 He will baptize you with the Holy Spirit and with fire. 7 And this was his message: "After me will come one more powerful than I, the thongs of whose sandals I am not worthy to stoop down and untie. 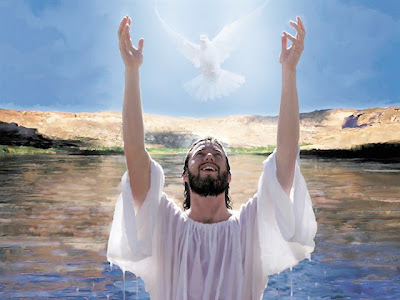 8 I baptize you with water, but he [Jesus] will baptize you with the Holy Spirit." 15 The people were waiting expectantly and were all wondering in their hearts if John might possibly be the Christ. 16 John answered them all, "I baptize you with water. But one more powerful than I will come, the thongs of whose sandals I am not worthy to untie. 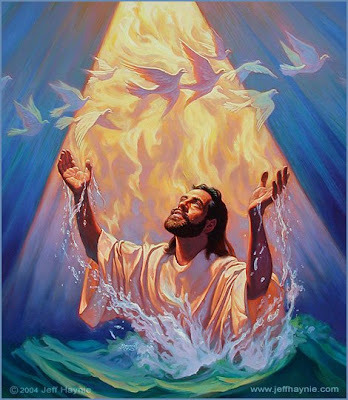 He will baptize you with the Holy Spirit and with fire. 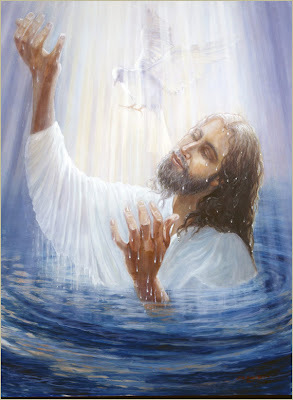 16 As soon as Jesus was baptized, he went up out of the water. 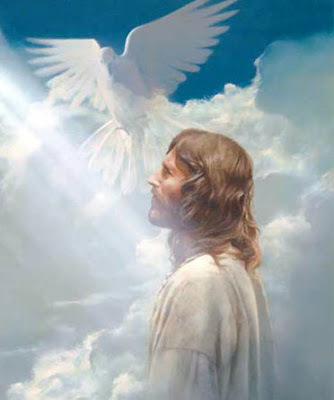 At that moment heaven was opened, and he saw the Spirit of God descending like a dove and lighting on him. 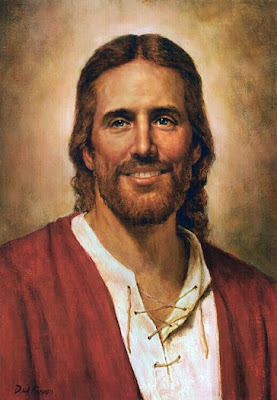 17 And a voice from heaven said, "This is my Son, whom I love; with him I am well pleased." 21 When all the people were being baptized, Jesus was baptized too. 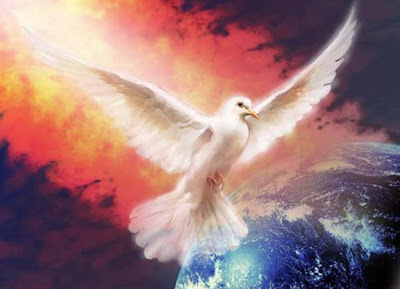 And as he was praying, heaven was opened 22 and the Holy Spirit descended on him in bodily form like a dove. 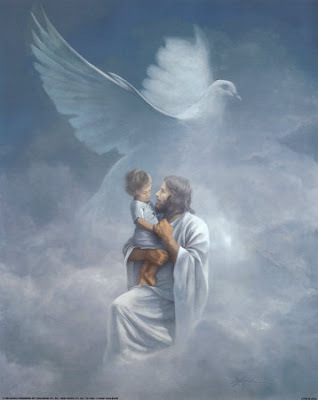 And a voice came from heaven: "You are my Son, whom I love; with you I am well pleased." 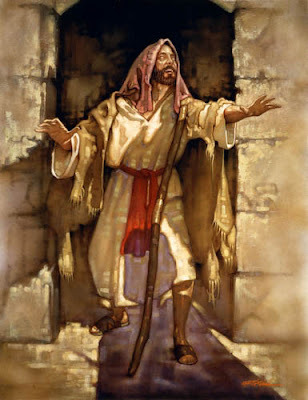 29 The next day John saw Jesus coming toward him and said, "Look, the Lamb of God, who takes away the sin of the world! 30 This is the one I meant when I said, 'A man who comes after me has surpassed me because he was before me [Jesus had always existed with God].' 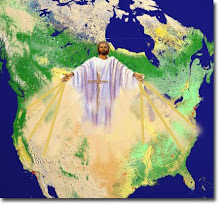 31 I myself did not know him, but the reason I came baptizing with water was that he might be revealed to Israel." 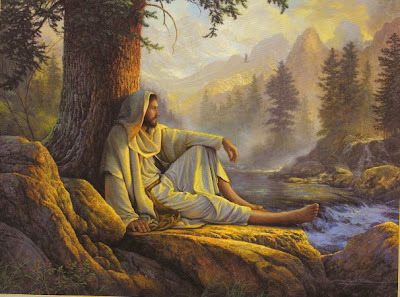 9 At that time Jesus came from Nazareth in Galilee and was baptized by John in the Jordan. 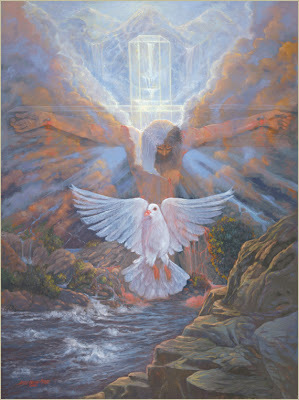 10 As Jesus was coming up out of the water, he saw heaven being torn open and the Spirit descending on him like a dove. 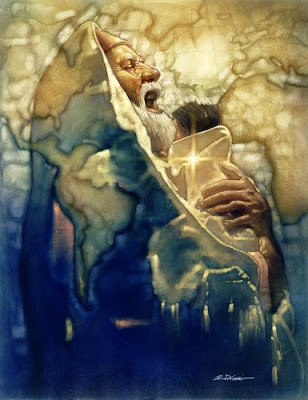 11 And a voice came from heaven: "You are my Son, whom I love; with you I am well pleased." 1 Then Jesus was led by the Spirit into the desert to be tempted by the devil. . . .
1 Jesus, full of the Holy Spirit, returned from the Jordan and was led by the Spirit in the desert, 2 where for forty days he was tempted by the devil. . . .
14 Jesus returned to Galilee in the power of the Spirit, and news about him spread through the whole countryside. 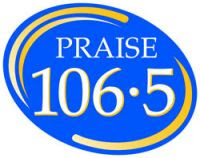 15 He taught in their synagogues, and everyone praised him. 20 Then he rolled up the scroll, gave it back to the attendant and sat down. 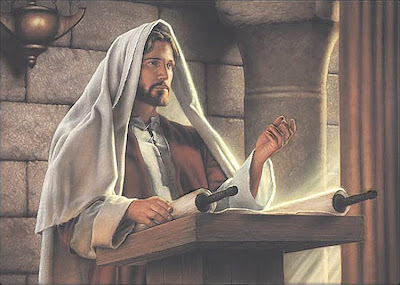 The eyes of everyone in the synagogue were fastened on him, 21 and he began by saying to them, "Today this scripture is fulfilled in your hearing." 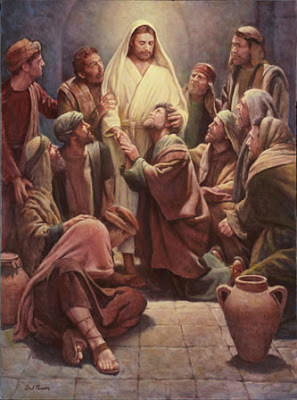 23 Jesus said to them, "Surely you will quote this proverb to me: 'Physician, heal yourself! Do here in your hometown what we have heard that you did in Capernaum.' "
24 "I tell you the truth," he continued, "no prophet is accepted in his hometown. 25 I assure you that there were many widows in Israel in Elijah's time, when the sky was shut for three and a half years and there was a severe famine throughout the land. 26 Yet Elijah was not sent to any of them, but to a widow in Zarephath in the region of Sidon. 27 And there were many in Israel with leprosy in the time of Elisha the prophet, yet not one of them was cleansed—only Naaman the Syrian." 37 On the last and greatest day of the Feast, Jesus stood and said in a loud voice, "If anyone is thirsty, let him come to me and drink. 38 Whoever believes in me, as the Scripture has said, streams of living water will flow from within him." 14: 15 "If you love me, you will obey what I command. 16 And I will ask the Father, and he will give you another Counselor [King James Verson: Comforter] to be with you forever— 17 the Spirit of truth. The world cannot accept him, because it neither sees him nor knows him. But you know him, for he lives with you and will be in you. 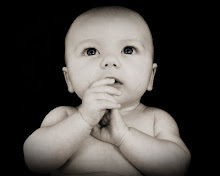 18 I will not leave you as orphans; I will come to you. 19 Before long, the world will not see me anymore, but you will see me. Because I live, you also will live. 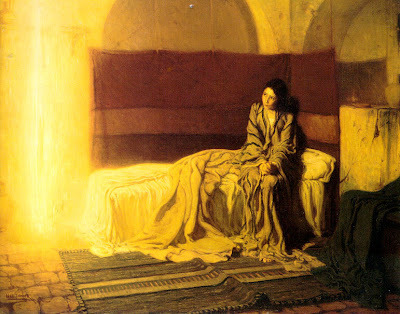 20 On that day you will realize that I am in my Father, and you are in me, and I am in you. 21 Whoever has my commands and obeys them, he is the one who loves me. He who loves me will be loved by my Father, and I too will love him and show myself to him." . . .
25 "All this I have spoken while still with you. 26 But the Counselor [KJV: Comforter], the Holy Spirit, whom the Father will send in my name, will teach you all things and will remind you of everything I have said to you. 27 Peace I leave with you; my peace I give you. I do not give to you as the world gives. Do not let your hearts be troubled and do not be afraid. Matthew 15 26"When the Counselor [King James Version: Comforter] comes, whom I will send to you from the Father, the Spirit of truth who goes out from the Father, he will testify about me. 5 "Now I am going to him who sent me, yet none of you asks me, 'Where are you going?' 6 Because I have said these things, you are filled with grief. 7 But I tell you the truth: It is for your good that I am going away. 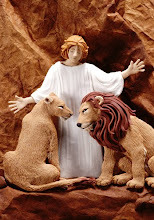 Unless I go away, the Counselor [King James Version: Comforter] will not come to you; but if I go, I will send him to you. . . .
12 "I have much more to say to you, more than you can now bear. 13 But when he, the Spirit of truth, comes, he will guide you into all truth. He will not speak on his own; he will speak only what he hears, and he will tell you what is yet to come. 14 He will bring glory to me by taking from what is mine and making it known to you. 15 All that belongs to the Father is mine. That is why I said the Spirit will take from what is mine and make it known to you. . . .
28 I came from the Father and entered the world; now I am leaving the world and going back to the Father." 21 At that time Jesus, full of joy through the Holy Spirit, said, "I praise you, Father, Lord of heaven and earth, because you have hidden these things from the wise and learned, and revealed them to little children. Yes, Father, for this was your good pleasure. 22 "All things have been committed to me by my Father. No one knows who the Son is except the Father, and no one knows who the Father is except the Son and those to whom the Son chooses to reveal him." 23 Then he turned to his disciples and said privately, "Blessed are the eyes that see what you see. 24 For I tell you that many prophets and kings wanted to see what you see but did not see it, and to hear what you hear but did not hear it." 22 Then they brought him a demon-possessed man who was blind and mute, and Jesus healed him, so that he could both talk and see. 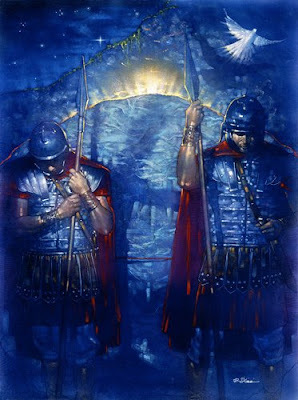 23 All the people were astonished and said, "Could this be the Son of David?" 24 But when the Pharisees heard this, they said, "It is only by Beelzebub, the prince of demons, that this fellow drives out demons." 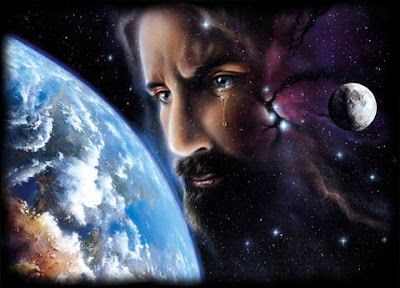 25 Jesus knew their thoughts and said to them, "Every kingdom divided against itself will be ruined, and every city or household divided against itself will not stand. 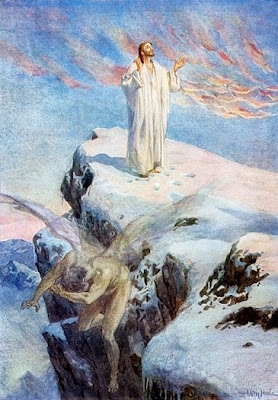 26 If Satan drives out Satan, he is divided against himself. How then can his kingdom stand? 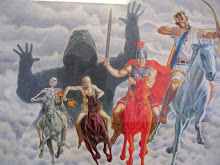 27 And if I drive out demons by Beelzebub, by whom do your people drive them out? So then, they will be your judges. 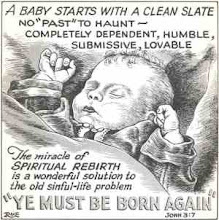 28 But if I drive out demons by the Spirit of God, then the kingdom of God has come upon you. 29 "Or again, how can anyone enter a strong man's house and carry off his possessions unless he first ties up the strong man? Then he can rob his house. 30 "He who is not with me is against me, and he who does not gather with me scatters. 31 And so I tell you, every sin and blasphemy will be forgiven men, but the blasphemy against the Spirit will not be forgiven. 32 Anyone who speaks a word against the Son of Man will be forgiven, but anyone who speaks against the Holy Spirit will not be forgiven, either in this age or in the age to come. 33 "Make a tree good and its fruit will be good, or make a tree bad and its fruit will be bad, for a tree is recognized by its fruit. 34 You brood of vipers, how can you who are evil say anything good? For out of the overflow of the heart the mouth speaks. 35 The good man brings good things out of the good stored up in him, and the evil man brings evil things out of the evil stored up in him. 36 But I tell you that men will have to give account on the day of judgment for every careless word they have spoken. 37 For by your words you will be acquitted, and by your words you will be condemned." 28 I tell you the truth, all the sins and blasphemies of men will be forgiven them. 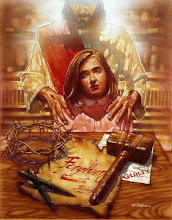 29 But whoever blasphemes against the Holy Spirit will never be forgiven; he is guilty of an eternal sin." 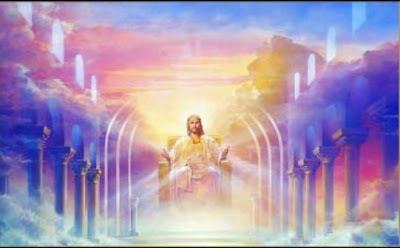 8 "I tell you, whoever acknowledges me before men, the Son of Man will also acknowledge him before the angels of God. 9 But he who disowns me before men will be disowned before the angels of God. 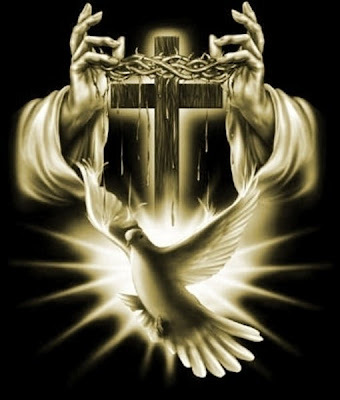 10 And everyone who speaks a word against the Son of Man will be forgiven, but anyone who blasphemes against the Holy Spirit will not be forgiven. 19 On the evening of that first day of the week, when the disciples were together, with the doors locked for fear of the Jews, Jesus came and stood among them and said, "Peace be with you!" 20 After he said this, he showed them his hands and side. The disciples were overjoyed when they saw the Lord. 21 Again Jesus said, "Peace be with you! As the Father has sent me, I am sending you." 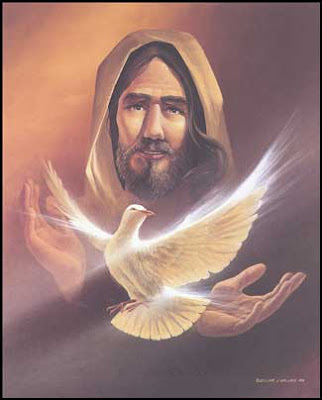 22 And with that he breathed on them and said, "Receive the Holy Spirit. 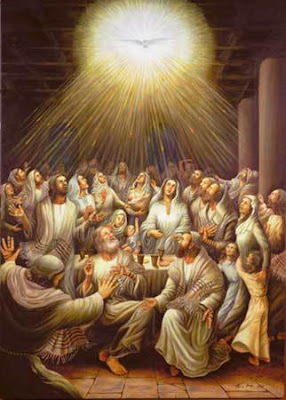 1 When the day of Pentecost came, they were all together in one place. 2 Suddenly a sound like the blowing of a violent wind came from heaven and filled the whole house where they were sitting. 3 They saw what seemed to be tongues of fire that separated and came to rest on each of them. 4 All of them were filled with the Holy Spirit and began to speak in other tongues [language] as the Spirit enabled them. 5 Now there were staying in Jerusalem God-fearing Jews from every nation under heaven. 6 When they heard this sound, a crowd came together in bewilderment, because each one heard them speaking in his own language. 7 Utterly amazed, they asked: "Are not all these men who are speaking Galileans? 8 Then how is it that each of us hears them in his own native language? 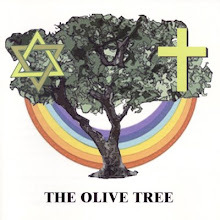 9 Parthians, Medes and Elamites; residents of Mesopotamia, Judea and Cappadocia, Pontus and Asia, 10 Phrygia and Pamphylia, Egypt and the parts of Libya near Cyrene; visitors from Rome 11 (both Jews and converts to Judaism); Cretans and Arabs-we hear them declaring the wonders of God in our own tongues!" 12 Amazed and perplexed, they asked one another, "What does this mean?" 13 Some, however, made fun of them and said, "They have had too much wine. [b]"
38 Peter replied, "Repent and be baptized, every one of you, in the name of Jesus Christ for the forgiveness of your sins. And you will receive the gift of the Holy Spirit. 39 The promise is for you and your children and for all who are far off—for all whom the Lord our God will call." The Fellowship of the Believers 42 They devoted themselves to the apostles' teaching and to the fellowship, to the breaking of bread and to prayer. 43 Everyone was filled with awe, and many wonders and miraculous signs were done by the apostles. 44 All the believers were together and had everything in common. 45 Selling their possessions and goods, they gave to anyone as he had need. 46 Every day they continued to meet together in the temple courts. They broke bread in their homes and ate together with glad and sincere hearts, 47 praising God and enjoying the favor of all the people. And the Lord added to their number daily those who were being saved. 1 Paul, a servant of Christ Jesus, called to be an apostle and set apart for the gospel of God— 2 the gospel he promised beforehand through his prophets in the Holy Scriptures 3 regarding his Son, who as to his human nature was a descendant of David, 4 and who through the Spirit of holiness was declared with power to be the Son of God by his resurrection from the dead: Jesus Christ our Lord.